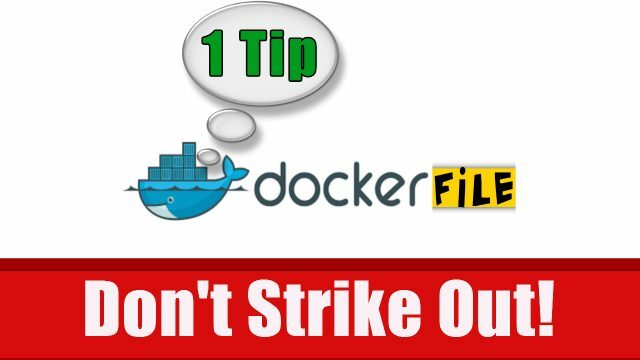 Dockerfile Tip on Caching – The 1 Strike Rule! As expected, when building your Docker Image the very first time, there is no caching taking place. However on subsequent re-builds Docker verifies each line in your Dockerfile against its cache. When a cache hit occurs, that layer is re-used and we can achieve faster Docker Image builds. The problem is that it can be downright tricky to take full advantage of the Docker cache even if your writing some really simple Dockerfiles (as I’ll show you). So what’s the one Strike rule? Once Docker comes across a line in your Dockerfile that invalidates the cache, it will stop verifying the cache from that point on. There’s no going back. Strike one … your out of the cache game! All subsequent Dockerfile lines will have a new image layer created in order to build yet another new Docker Image. Obviously this slows down the build process and is to be avoided when possible. The lesson to be learnt here … You have to know when its best to strike out to take full advantage of the cache game. No one wants to strike out on the first throw! Let’s play. 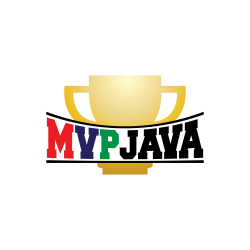 Step 5/6 : LABEL com.mvpjava.project.verion "0.0.1"
Step 6/6 : LABEL maintainer "MVP Java"
Wow, No caching occurred what so ever! In fact, Docker didn’t even re-use the image layers in the cache for the lines that didn’t change under the line “COPY file1.txt /home“. So what happened? As soon as you invalidate the cache due to introducing a modification (our file1.txt in this case), Docker throws its hands up in the air and just gives up even trying to look any further from that point on, hence you lose all caching benefits. Is there anything that can be done to get around this? You can get around this by putting the Dockerfile commands that are not likely to change on the top in order to benefit from caching and place the commands that will eventually invoke a cache invalidation after (not always obvious). This way you’ll use the Cache as long as possible until you eventually strike out; which you want to do as late as possible. Move the line “COPY file1.txt /home” command to the end of the Dockerfile. Step 4/6 : LABEL com.mvpjava.project.verion "0.0.1"
Step 5/6 : LABEL maintainer "MVP Java"
Notice that we re-used the cached layers this time all the way down until we struck out on Step 6/6. That’s playing it smart! We stayed in the cache game as long as we could just by moving that line to be bottom. Now I know that the Dockerfile example above is simple but that’s the point 🙂 It’s the principle that you have to remember no matter how complicated the Dockerfile is. There are more gotchas out there but I’ll keep this in line with the title of the post, mainly 1 tip! It’s short, to the point, easy to remember and will serve you well going forward.